When you are looking for safety and security then don’t forget to install fences around your property. It will help to stop the intruder get into your property easily. Besides that, the fences are the best equipment to stop the unwanted animals to get into your property because these animals can cause serious injuries to you and your family. Most of the people installing the fences to clarify their property boundaries while the other believes that, fences can be the best equipment to protect their families from animals. The houses which are in located in the snake prone areas should install fences around the property because snakes are one of the dangerous animals in the entire world. In case of any snake accidents, you should immediately contact doctors and don’t get it lightly. If you want to minimize the snake accidents or don’t let the snake get into your property then, you should go toward installing fences. 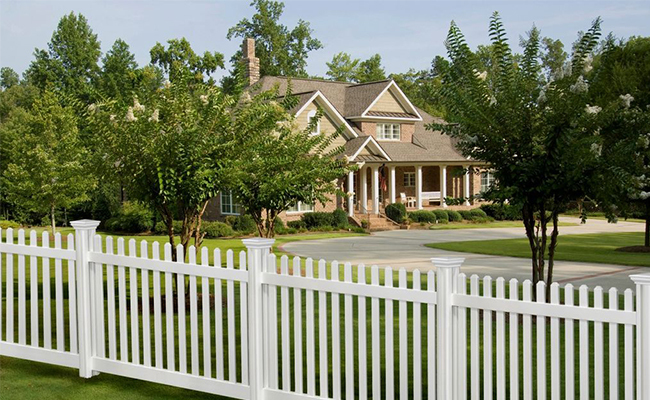 These are some benefits of installing the fences around your property. Besides that, there are many other benefits too such as adding value to the property, clarifying boundaries, and boost privacy level. Before you are going for the installation of fences, try to consult with the fence professionals. They will give a better idea that which can suit your property and resolve your problem. Let’s have a look for some types of fences that can help you out. When you will go toward the definition of fences, you will see fences as a barrier. In other words, the fence is equipment which stop the unwanted people and animals to get into your property without your permission. The PVS fence is one of the effective fence systems that, you can install around your property. It will help you to clarify your property boundary and stop the pets of your neighbor to get into your houses. Besides that, the PVC fence is famous due to having 50 years. This is one of the important points why the people are more toward PVC fence. The hardifence is more useful equipment to stop the snakes get into your property. The hardifence is made of cement sheets and interconnected with each other to create a wall. The hardifence can resist any type of weather and has less cost of maintenance. The chain wire is one of the strongest fences that, you can install to restrict the people get into the areas. Besides that, you can have the wire mesh too, it mostly uses to increase the security level and stop the intruder to get into the property easily. It needs maintenance on the yearly basis to increase the life duration. Otherwise, it’s the best equipment that you can install boost your security level. The pool fence is used around the swimming pool for the safety purpose while some of the people are using it to increase the beauty of the swimming pool. Besides that, it’s the equipment which helps to protect people from swimming accidents.